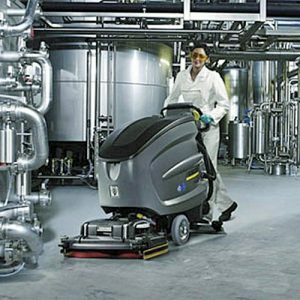 The Karcher BD 50/40 RS Hire Battery Powered Step On Scrubber Dryer offers the manoeuvrability of a walk-behind machine and the speed of a ride-on machine. 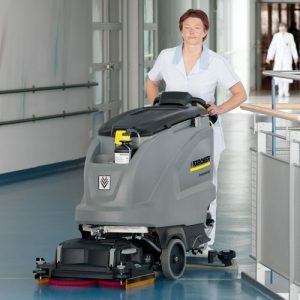 The Karcher BD 50/40 RS Hire Battery Powered Step On Scrubber Dryer is the ideal machine for supermarkets, public buildings, healthcare and contract cleaning. 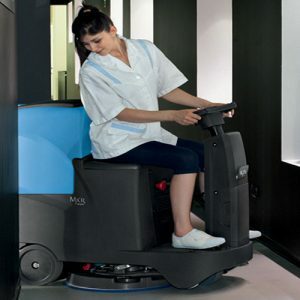 The extremely small turning radius enables to clean even winding and tight areas completely. The squeegee bar rotates around the brush deck for 100 % complete pick up of water even in the tightest turns. 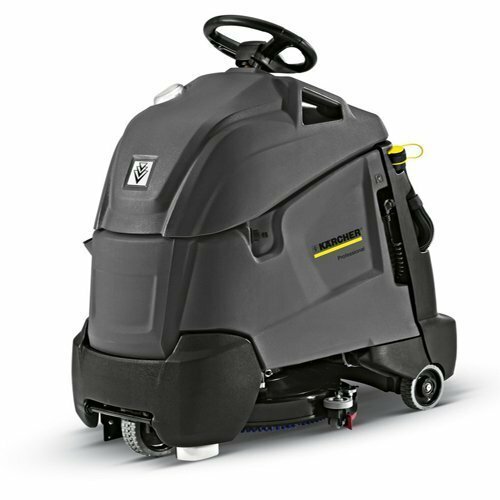 The Karcher BD 50/40 RS has adjustable Eco-mode, energy and resources saving maintenance can be done with excellent cleaning results. 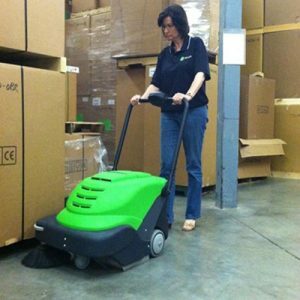 eco efficiency mode saves time, energy, water and cleaning agent. Only 1 button for all cleaning settings. 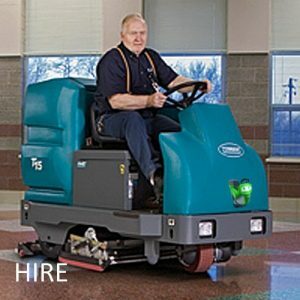 For concise and simple operation and a reduced need for training. 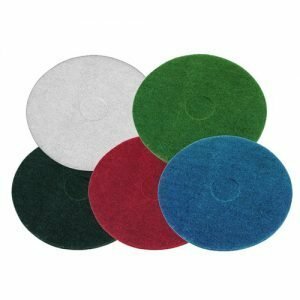 Suction lips and brushes can be replaced without using tools. 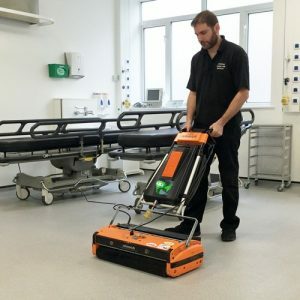 Vacuum bars can be replaced in no time at all. 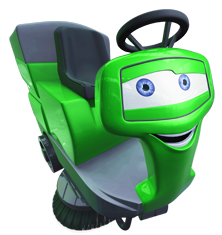 For absorbing every drop of water in every corner. 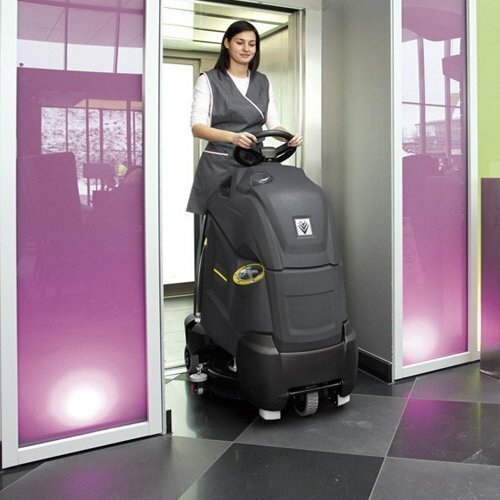 For excellent manoeuvrability, large area coverage and less re-cleaning. Full view from 30 cm in front of the vehicle. 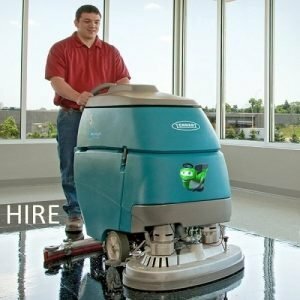 For predictive cleaning.